Fellow wine and coffee drinkers rejoice! A new product is taking the market by storm, and it solves a problem we didn’t even know we had. Your days of enjoying your favorite guilty pleasures in two separate sittings might soon be a distant memory thanks to the forward thinking visionaries at Napa, California’s world famous Molinari Caffe. Wine Coffee – the revolutionary new brew that has barista’s everywhere scrambling to replicate. The mixture, touted as a robust coffee that “relaxes in a beautiful wine, absorbing the wine’s nose and history,” has been given the stamp of approval by Professional tasters who describe the flavor as “rich” and “full-bodied” with a hint of a “small dark fruit” such as, blueberries. The flavored coffee popularity boom began in the 1970s, coinciding with the rise of Starbucks, and still sees continual yearly growth to date. It is important to note that while Molinari’s coffee wine blend tastes similar to its flavored coffee counterparts, the method of preparation sets it apart as this is the first time coffee beans have been soaked in wine prior to brewing (rather than mixing once the coffee has been brewed). 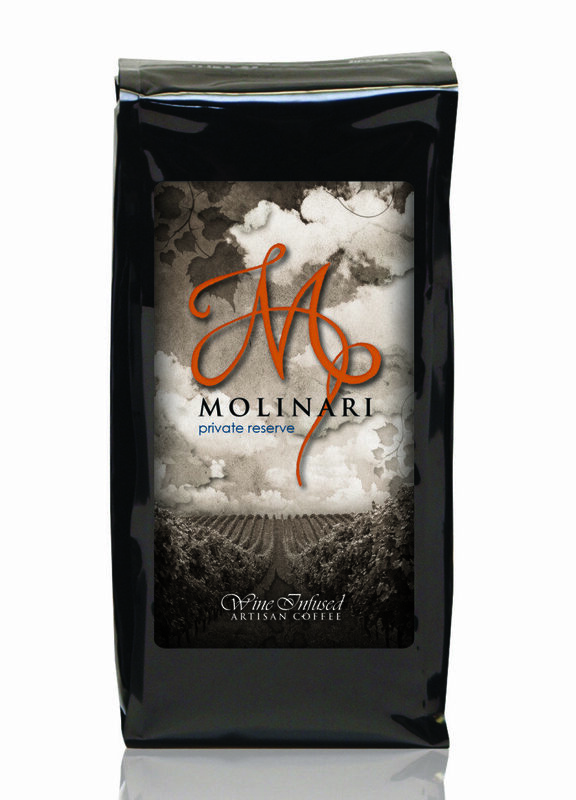 While we’re certain to see mass production of coffee wine in the not too distant future, distribution of Molinari’s special blend is currently local. Though, customers can conveniently purchase the wine-infused coffee online for $19.95 for a half-pound bag. It’s not everyday that dreams come true, but today…..today is a good day. Don’t forget to share the goodness with your wine and coffee loving friends and family by clicking the button below!